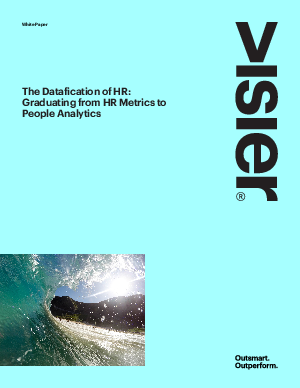 Datafication is now a business-critical part of HR, requiring a people analytics and workforce planning solution that acts as an organization’s people strategy platform. Unlike transactional HR systems, which are mostly capable of only operational reporting, a people strategy platform enables strategic excellence by bringing together the data from these systems–as well as business systems–to answer important questions that connect people to business results. By providing strategic insights to make better people decisions and plans, and connecting those decisions directly to business outcomes, the people strategy platform gives HR more ability than ever before to create value for the business.